Create Excel spreadsheets for Office 97/2003 or Office 2007+ on the fly with an easy to use .NET library. No 3rd party dependencies. No Microsoft Office Excel dependencies. The ExpertXLS Excel Library for .NET can be linked into any type of .NET project, either ASP.NET web sites or Windows Forms and WPF applications, to enable your application to create new Excel documents from scratch or to edit existing Excel documents. 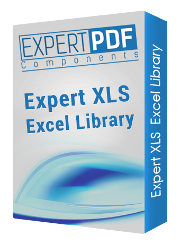 The ExpertXLS Excel Library for .Net offers support both for the old Excel 97-2003 format (.xls) and for the new Excel 2007 or above (.xlsx) format.